Hi everyone, welcome to english-learning.net. 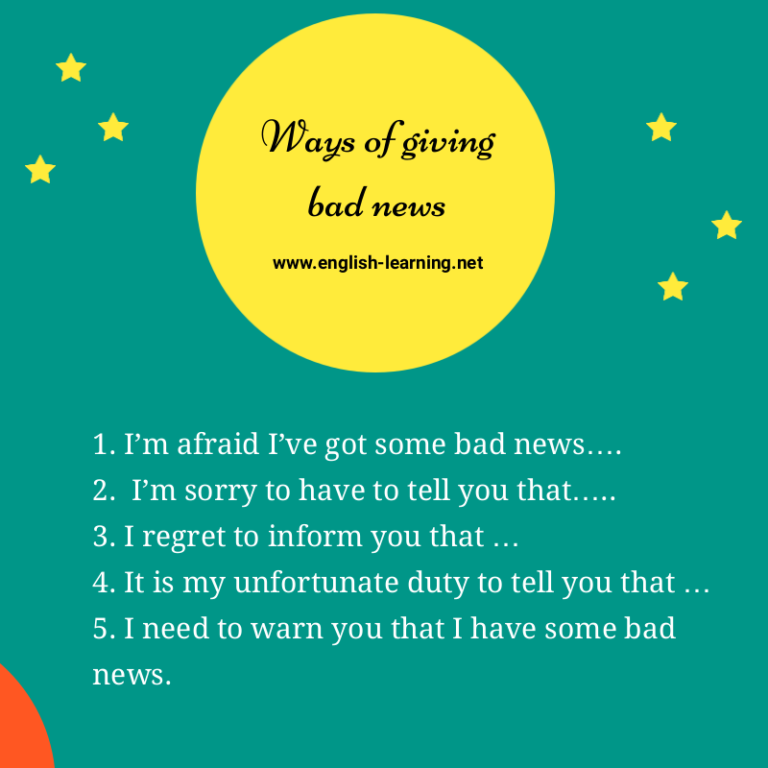 In this lesson, I’m going to teach you some easy ways to give bad news. Sometimes, we are unfortunate to give people bad news. Of course it’s not something we want and it’s not easy, either. Let’s find out some easy ways to make bad news less bad. 1. I’m afraid I’ve got some bad news…. I’m afraid I’ve got some bad news. You will not get the pay raise you asked for. I’m sorry. We’re afraid we have got some bad news. The camping will be cancelled because of the storm. 2. I’m sorry to have to tell you that…..
I’m sorry to have to tell you that your sister just got a car accident. I’m sorry to have to tell you that the Internet connection will be down for the next few days. I regret to inform you that your offer has been declined. It is my unfortunate duty to tell you that you will not be promoted to manager position. It is my unfortunate duty to tell you that our company will need to file a bankruptcy. 5. I need to warn you that I have some bad news. I need to warn you that I have some bad news. Our company has decided to cut down all the bonus due to the financial loss this year.